I just love giving Homemade gifts. They come from the heart and are personalized to each recipient. 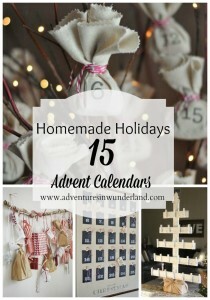 This year we are going to do a wonderful series called Homemade Holidays with our favorite Homemade gifts for everyone on your list. You do not need to be incredibly crafty though, to give a great homemade gift, which is why I’m starting with one Gifts in a Jar. 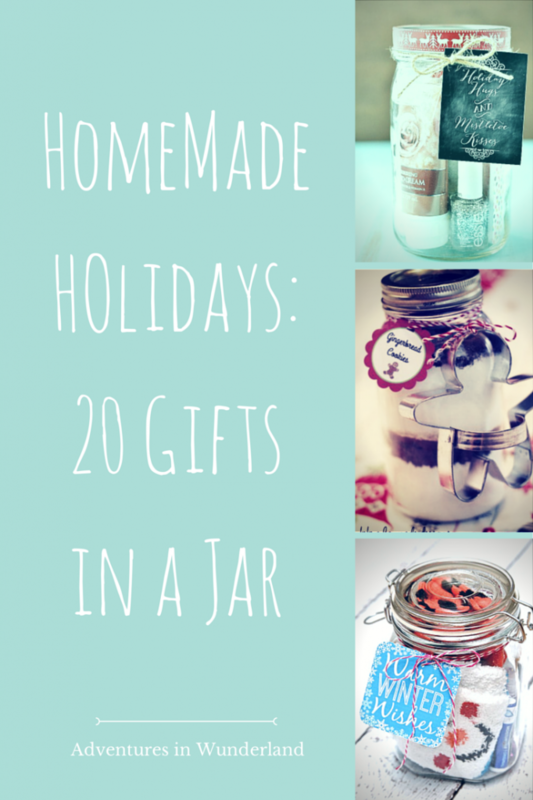 Gifts in a Jar are easy to put together and lovely to give to your neighbors, teachers, coworkers and just to keep on hand to hand out during the Holidays. 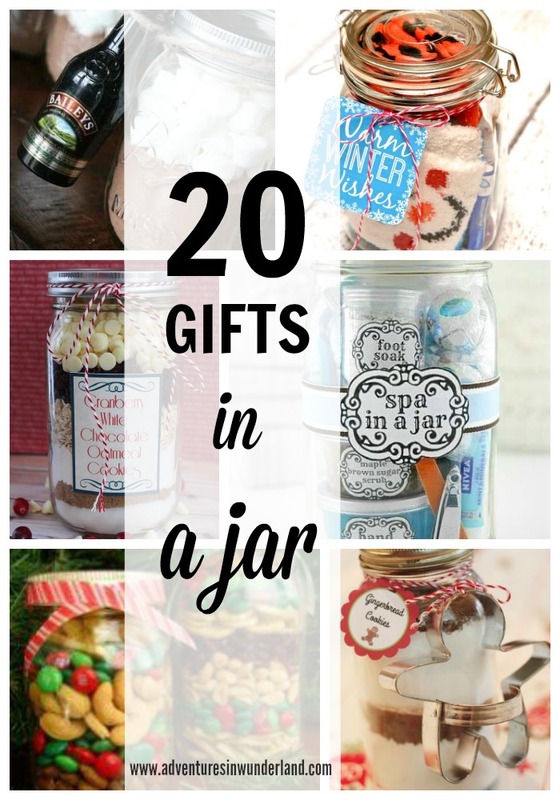 There are so many variations of what you can put into Gifts in a Jar that it is hard to narrow it down to the best. This list has a little bit of something for everyone, though, even the dog! For neighbors and families a lovely idea is to give them a cookies mix or a meal. Something they will most definitely use during the Holiday season. Children love to bake Christmas Cookies and I don’t know one mom that wouldn’t appreciate a delicious soup ready to toss into the crock pot. Your teachers or coworkers might appreciate a homemade candle, mani/pedi kit, or a sugar scrub exfoliate. What a fantastic collection of ideas! This is what I want to give as gifts this Christmas! Thanks for sharing, now I don't need to search! Can't wait to try the reindeer cookie mix jar. Brilliant collection of ideas here.